With incredible video quality, ease of use, and powerful networking tools, Revo Ultra is the very best that Revo has to offer. Revo Ultra's unique design complements any home or business. The Revo Ultra's superb video quality is based on IP technology which brings the power and beauty of digital high definition video right to the heart of your surveillance. The 4 CH REVO ULTRA NVR features 1080p powerful processor, H.265 Compression, and Full-HD HDMI output. 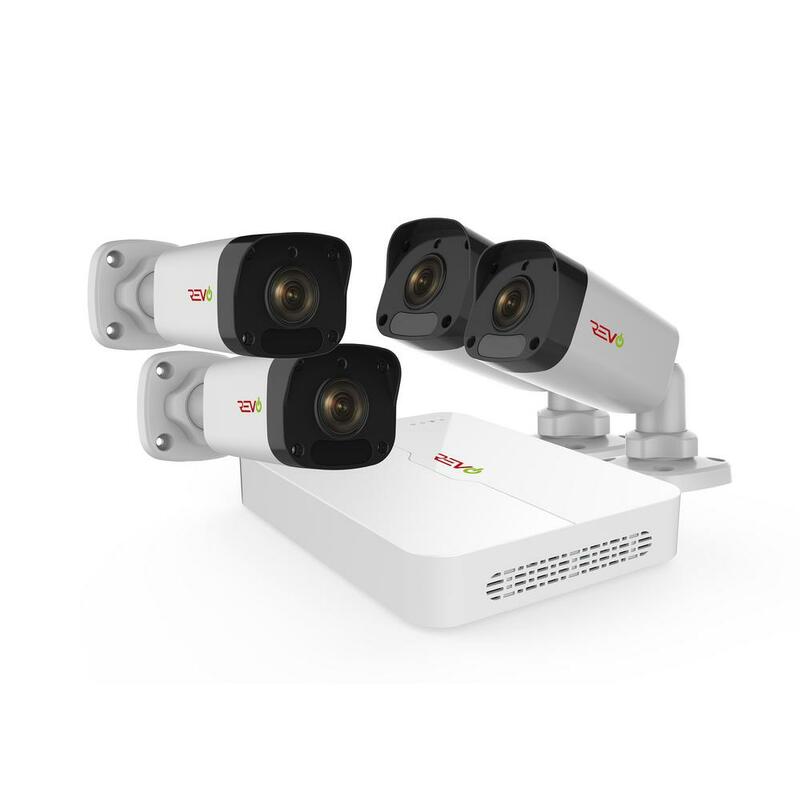 The 4 Indoor/Outdoor bullet cameras feature optical grade glass, 3D Digital Noise Reduction, 2 Megapixel Sensors, and double the resolution of standard 720p HD. IR arrays illuminate the scene up to an unprecedented 100' in total darkness. Revo Ultra cameras are able to handle temperatures as hot as 140F and as cold as -31F. View your Revo Ultra cameras from anywhere. Using the Revo Ultra Mobile smartphone app, simply set up an account and then scan your NVRs QR code to begin mobile viewing. Access your Ultra NVR via the web using www.myrevocloud.com. Want to view multiple Revo Ultra units at different locations from a single computer? With Revo EZStation Software, design your own custom layout of which cameras you'd like to view with Video Wall, or even lay them out on a custom map of your property with E-Map. I am able to see live video feeds on all of my connected cameras all at once or per camera on my iOS smartphone any time I want. I can also select from the 1TB memory, previous video feeds and stop action or roll video. The quality is wonderful and detailed with good color in lighted areas and BW-ish details in low light areas. The night vision works and is high-tech! This system comes with a main "brain" with hard drive that connects to the router and 4 supplied cameras. The cameras are a nice looking white (with logo) and at night show a faint red light. There are multiple mounting options with the camera mount and support for wet locations plus a backup power source. REVO generously supplies (4) 100' Cat5 cables to connect video link and power over ethernet (PoE) to the main "brain" unit. The box states 800' is possible for length but for my situation, the supplied cords worked great. My set up included running 3 of the 4 supplied cameras indoors. There are a LOT of alert options and options to use a connected monitor via HDMI and interface via supplied mouse. My set up is purely via iOS and it works for my current plans and future use. The alert of motion was set and it sent lots of alerts to my phone. This setting was toggled on/off and there are more options to explore. Recommended. High quality and relatively easy to set up and use. *This is my first surveillance system, so my review is not benchmarked against previous systems. *The supplied instructions make note of opening the "brain" box to connect the Hard Drive- it was already connected, no need to open this box. * The system DOES need to be connected to router, in my case a wireless router connected to cable modem, to stream and use the app. This is a HARDWIRE ethernet connection and you supply the cable. I wish this was connected via WiFi. No options to do so with this model. *All 4 cameras were connected but I evaluate three connected to ensure it was not mandatory to connect 4 to the system. This multi-functional LED flashlight and power bank is the perfect outdoor emergency tool. Includes window breaker and seat belt cutter. Flashlight has 3 settings - low, high and flashing red lights. 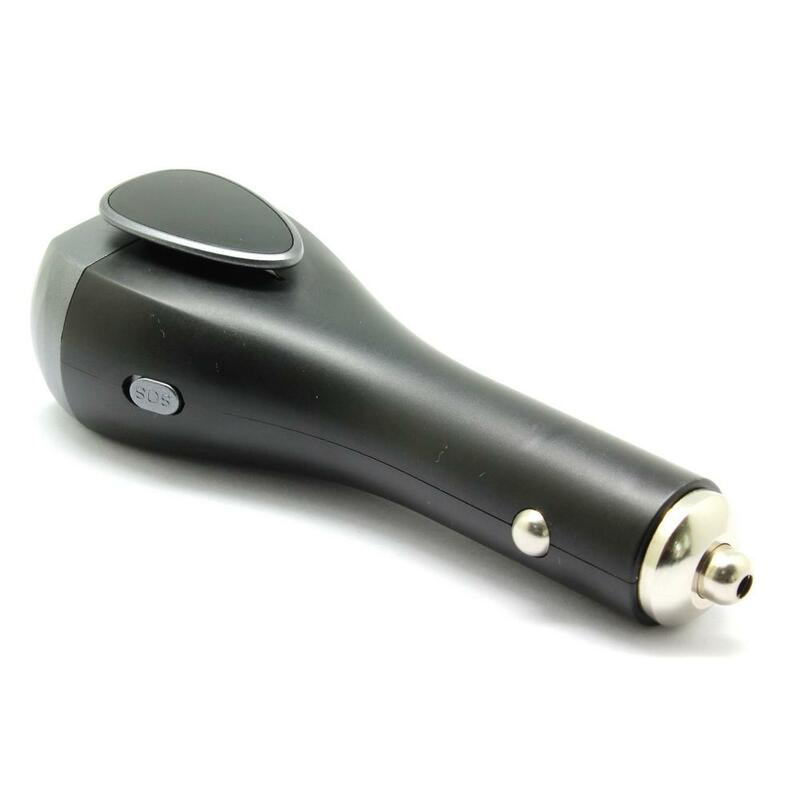 The Safe7 is a 7-in-1 car charger with safety hammer, belt cutter, alarm, torch and red flashlight. Moreover, it is a power bank with built-in battery which can be recharged by car and USB. The X4 Home features a slim and compact charging solution, perfect for keeping your office workspace clutter-free. The X4 Home is accented with a choice of a robust black alloy finish, with an extra-long-6-foot cord for added flexibility. 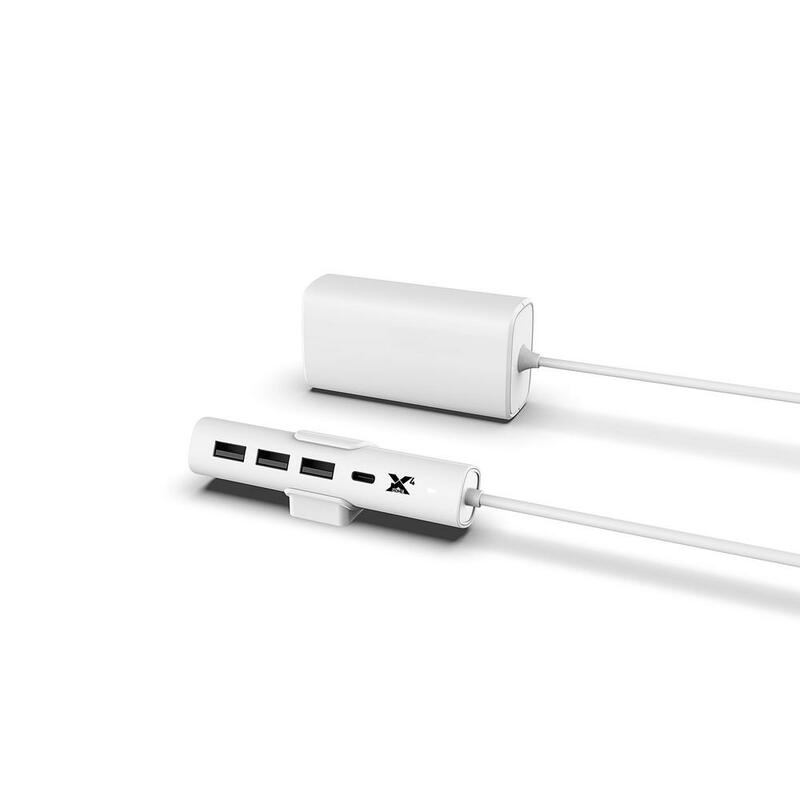 It features 4 USB ports, including 1 Type-C PD port for compatible devices (including laptops) and 3 standard USB-A ports. Whether its a hike or just a long commute, you can conveniently keep your favorite drink hot or cold on the go. 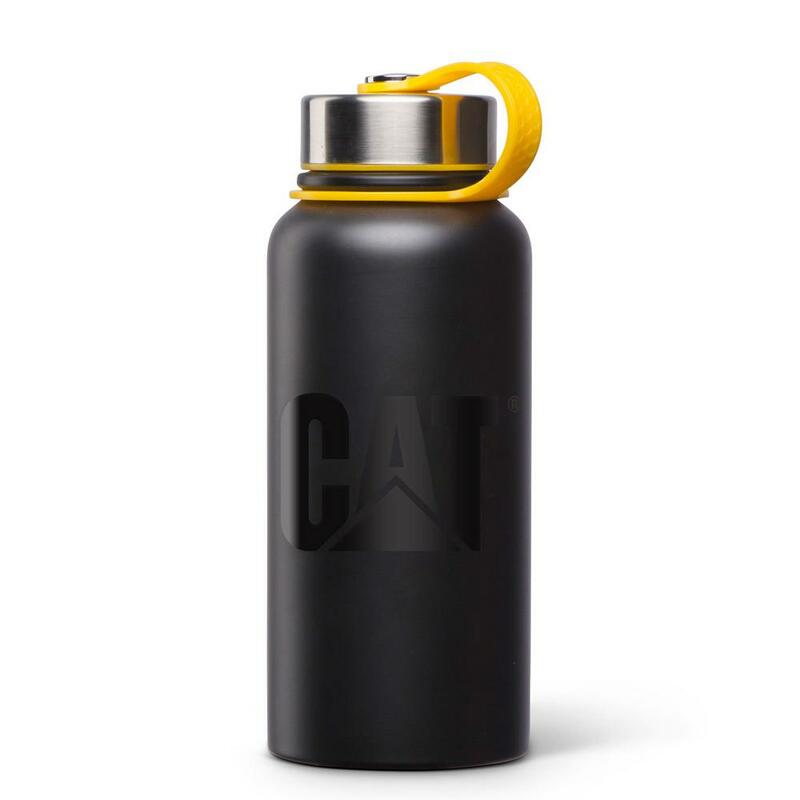 The Cat Stainless Steel Thermal Bottle comes in either Stainless Steel or Matte Black and features a wide mouth lid, this double wall vacuum sealed insulated bottle keeps liquid cold for 24-hours and hot for 6-hours. It doesn't matter if its a fresh cup of coffee or ice cold tea or water, this bottle will ensure that you can enjoy the drink as if it was poured just moments before you take the first sip. This thermos bottle keeps my morning coffee really warm until I'm ready to enjoy it. The seal is easy to use and the finishes are really nice. The yellow cap to bottle connector is somewhat rigid and can be bent into place but tends to snap back into place. High performance thermos with a wide mouth that is easy to clean in the dishwasher. Highly recommended and really nice bottle.Fits about 7 measured cups of coffee! Bring in texture to your bedroom to create a warm and cozy atmosphere with this Home Decorators Collection 5 ft. x 8 ft. Area Rug. This woven rug has stain-resistant fabrics and fade-resistant materials. 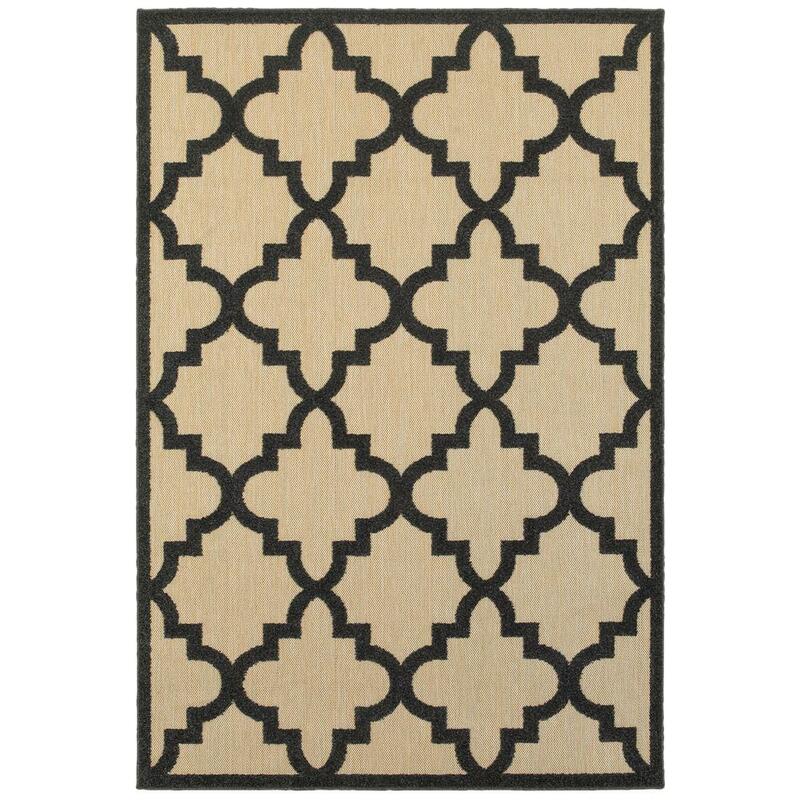 It has a geometric pattern, which is an excellent choice, creating crisp lines to accent your interior design. Designed with elements of black, it will tone down your decor. It has a 100% polypropylene construction, which makes it an especially lasting choice for your home. This is a well-built rug that has a slightly rough, outdoors rug texture on the light color and soft texture on the dark pattern. The light color is made of multiple colored yarns that adds an interesting, subtle color variation to the light tan color but shows mostly tan. I really like this quality attention to detail. I am using it as an inside rug and it's wearing great but isn't as soft as other rugs, of course. Like most of the rugs I have tested, the shipping method curls the end of the rug, somewhat permanently, and this one still curls on the side that was the tightest wrapped in the package. alwaysathomedepot has not submitted any questions. Control electronics from anywhere using your tablet or smartphone with the HS105 Smart Plug Mini. Turn devices on and off, create schedules and set timers using the Kasa app. Away Mode makes it look like you're home when you're not for added security and the HS105 pairs with Google Home and Amazon Alexa to enable voice control. Enjoy peace of mind by checking on your devices remotely and always coming home to a well-lit house. Set connected devices to turn on and off as needed, conserving energy and helping you save on your electricity bill. Can this turn lights on an off using a Google Home (voice command)? Hello, this works with voice command with Alexa and I assume it will work for Google too. See my review to see the steps: 1) Download the TP link app and set up. 2) find the appropriate app/skill/link for your smart home system and connect. Have 5.0 and 2.4 GHz both. Will it work with the 5.0? Hello, my plug works great with Alexa. Download the Alexa skill and check out my review. 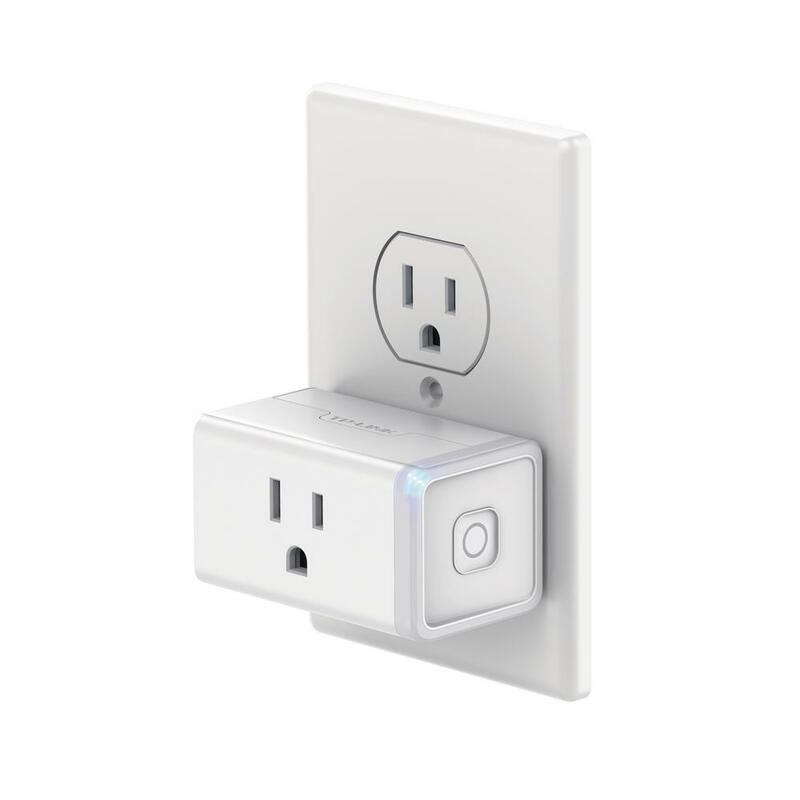 It appears this smart plug will not work with my Comcast WiFi router, Arris tc 862 ?????? Try setting this plug up closer in range to your router then try to move it further away from your router. 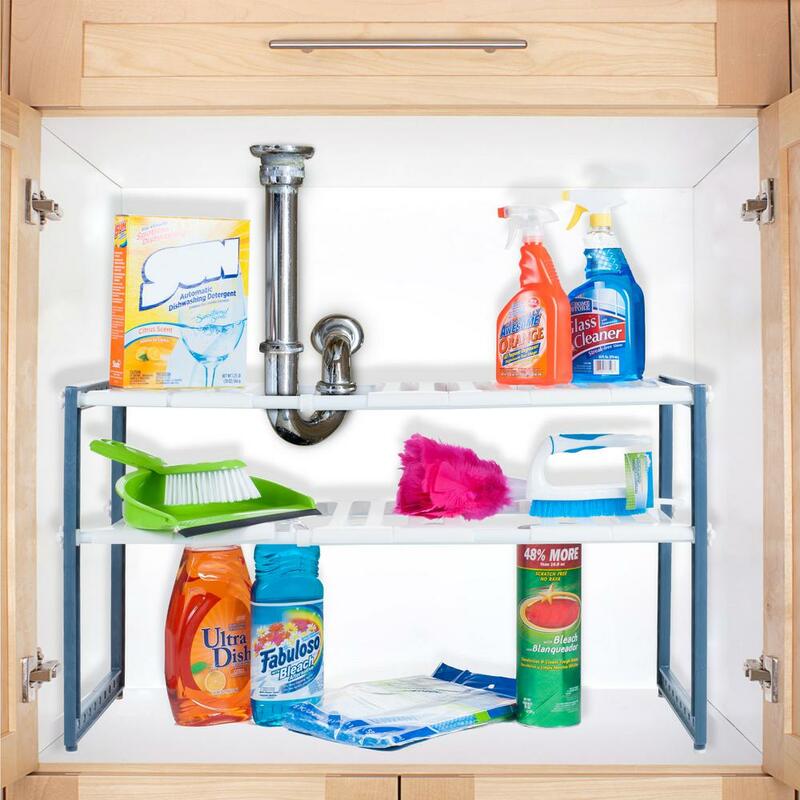 The completely customizable 2 Tier Under Sink Shelf from Stalwart turns wasted space into organized storage. With 12 different shelf height options, adjustable width, and 12 shelf slats, this shelving unit fits under almost any sink. The shelf slats allow for totally customizable, movable shelving, making sure drain pipes aren't an issue. Perfect for organizing cleaning products or creating more space for pots and pans. What is the maximum width it can reach? And is the total height adjustable too? Hello, My organizer is already installed so I cant easily check the actual length but I would estimate 29-30" wide. Mine is at 23" and it could go wider (confirmed). The shelves are set up on 1.5" increment holes on the sides of the gray frames and the frames are 15.5" Tall.